5 live Daily's exclusive tour of the RAF base - where British aircrews sit in metal cabins on the ground, watching and attacking targets thousands of miles away. They're the crew of Reaper, the unmanned aircraft currently targeting so-called Islamic State in Iraq and performing surveillance duties in Syria. Some refer to these planes as "drones" but the Ministry of Defence prefers to describe them as remotely piloted air systems RPAS - or Reaper. 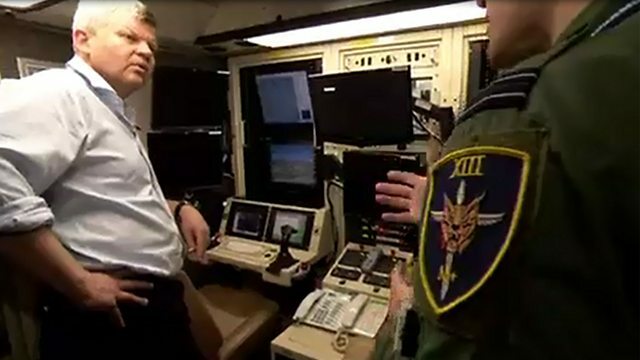 Adrian Chiles is the first member of the media to be allowed inside the headquarters since the UK started surveillance and attack missions against IS last year. This clip is from 5 live Daily 9 July 2015.